With reference to B.C. 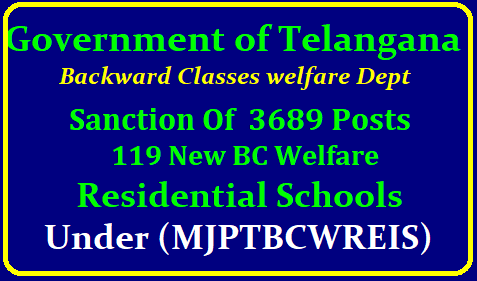 Welfare (B) Department,U.O.No.941/B/A2/2018, dt.22.12.2018 the Backward Classes Welfare Department have proposed creation of teaching and non-teaching posts in the newly established one hundred and nineteen (119) new Backward Classes Welfare Residential Schools. The Backward Classes Welfare Department is requested to take necessary further action in the matter accordingly.